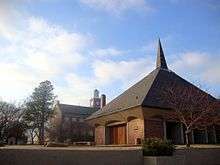 Wichita State University began in 1886 as Fairmount College, a private Congregational preparatory school, founded by Rev. Joseph Homer Parker. Initially it was referred to as "Young Ladies College", "Wichita Ladies College", and "Congregational Female College". It was to admit women twelve years and older who were "able to read, write, spell and recite the parts of speech." Support came mainly from the Plymouth Congregational Church to build it, but the school never opened its doors. In 1892, a corporation bought the property and named the preparatory school Fairmount Institute. It opened in September to men and women, with an emphasis on training in preaching or teaching. It closed because of financial difficulties. WSU has four satellite locations: WSU South is located at 200 West Greenway in Derby, Kansas, began offering Wichita State University coursework in January 2008. WSU West is located at 3801 North Walker in Maize, Kansas. This 9 acre (3.6 ha) campus hosts 80–100 university classes each academic semester. Wichita State University was ranked the 35th top college in the United States by the Social Mobility Index college rankings. Wichita State is placed among National Universities in the United States in rankings done by U.S. News & World Report. For all engineering research and development expenditures, WSU ranked No. 63 in the USA for year 2013, with $47 million The National Science Foundation ranked Wichita State University No. 4 among all U.S. universities in money spent on aerospace research and development in fiscal year 2013, with $39 million in expenditures and No. 1 in industry-funded aerospace R&D. Wichita State's W. Frank Barton School of Business was listed in The Princeton Review 2011 "301 Best Business Schools," ranked as the 11th best program in the country for students seeking an undergraduate degree in entrepreneurship for 2007. In 2014, President Dr. John Bardo announced plans to launch a major academic and student life initiative, dubbed the "Innovation University." The plan kicked off with the completion of renovations to the university's student union, the Rhatigan Student Center, and the opening of Shocker Hall, a new 318,000-square-foot, 784-bed housing facility on the main campus. It includes public/private partnerships with domestic and international companies that would build offices on the WSU main campus and collaborate with the students and faculty on research projects and product development through a technology transfer system. The university has secured partnerships with three companies: Wichita-based ABI Group of Companies; Sunnyvale, Calif.-based NetApp; and the Indian IT firm Tech Mahindra. The plan calls for the addition of more than 20 new buildings, including a prospective new building for the Frank W. Barton School of Business, a new residence hall, commercial offices, "creative collision" facilities, two mixed-use developments and a hotel. Ground will break on the first building, the Technology Transfer/Experiential Learning Building, in Q1 2015. The development will occur on the site of the WSU-owned Braeburn Golf Course adjacent to campus, which closed in November. Wichita State University was ranked in the Top 50 Online Colleges with the Highest Student Satisfaction by OnlineCollegePlan.com. WSU is an NCAA Division I institution and fields teams in tennis, cross-country, basketball, track, golf, men's baseball and women's volleyball and softball. Also, it offers club sports such as crew, bowling, shooting sports, and other intramural sports. Once Elsea's mascot was adopted by the university, which by that time was known as the Municipal University of Wichita, all that was needed was a name. The Oct 7, 1948, issue of The Sunflower, the student newspaper, ran an advertisement urging students to submit names for the school's new mascot. It was freshman Jack Kersting who suggested the winning name, "WuShock." ↑ "Fall 2014 Semester Preliminary Report" (PDF). Topeka, Kansas. 26 September 2014. Retrieved 26 September 2014. ↑ Geographic Names Information System (GNIS) details for Wichita State University; United States Geological Survey (USGS); October 13, 1978. ↑ "Working with WSU's Color Palette Standards" (PDF). Wichita State University. Wichita State University. July 2, 2014. Retrieved September 14, 2015. ↑ "History of WSU". Division of Student Affairs. Wichita State University. August 18, 2014. Retrieved November 20, 2015. ↑ "Wichita State University | Ranking & Review". 4icu.org. March 3, 2013. Retrieved March 31, 2013. ↑ "About WSU – Wichita State University, Wichita, Kansas". Wichita.edu. Retrieved March 31, 2013. 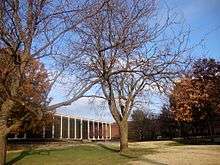 ↑ "OFFICE OF THE PROVOST – Wichita State University, Wichita, Kansas". Wichita.edu. November 30, 2012. Retrieved March 31, 2013. ↑ "Grand opening for WSU's dentistry building – Wichita State News". Wichita.edu. Retrieved March 31, 2013. 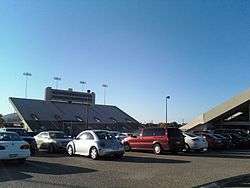 ↑ "Eugene M. Hughes Metropolitan Complex – Wichita State University, Wichita, Kansas". Webs.wichita.edu. Retrieved March 31, 2013. ↑ "ABOUT WSU – Wichita State University". Webs.wichita.edu. 2011-10-03. Retrieved 2016-02-22. 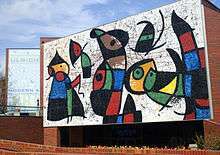 ↑ "Ulrich Museum of Art – Wichita State University". Webs.wichita.edu. Retrieved 2016-02-22. ↑ "Satellite Locations – Wichita State University, Wichita, Kansas". Webs.wichita.edu. Retrieved 2016-02-22. ↑ "SOUTH CAMPUS – WSU South Campus – maps/directions – Wichita State University, Wichita, Kansas". Webs.wichita.edu. February 11, 2013. Retrieved March 31, 2013. ↑ "WSU West Campus – Wichita State University, Wichita, Kansas". Webs.wichita.edu. Retrieved March 31, 2013. ↑ "Wichita State University | Best College | US News". Colleges.usnews.rankingsandreviews.com. Retrieved March 31, 2013. ↑ "Total and federally financed higher education R&D expenditures in engineering, ranked by FY 2013 total: FYs 2010–13 – National Science Foundation". nsf.gov. Retrieved Feb 4, 2015. ↑ "Wichita State ranks among top universities for aerospace R&D". Wichita.edu. Retrieved Feb 10, 2015. ↑ "CENTER FOR ENTREPRENEURSHIP – Wichita State University, Wichita, Kansas". Webs.wichita.edu. February 16, 2012. Retrieved March 31, 2013. ↑ "Ablah Library". Libraries.wichita.edu. 2015-08-06. Retrieved 2016-02-22. ↑ "McKinley Chemistry Library". Libraries.wichita.edu. Retrieved 2016-02-22. ↑ Rachel Crane (2013-06-26). "Home – Music – LibGuides at Wichita State University". Libraries.wichita.edu. Retrieved 2016-02-22. ↑ "Special Collections". Libraries.wichita.edu. Retrieved 2016-02-22. 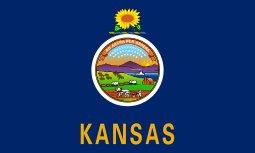 ↑ "Only State of Kansas Patents and Trademarks Library". Archived from the original on November 9, 2014. Retrieved January 2, 2015. ↑ "Wichita Photo Archives". Archived from the original on February 5, 2015. Retrieved January 2, 2015. ↑ "Wichita State becoming an innovation-focused university". Wichita.edu. Retrieved Aug 15, 2014. ↑ "New business school part of second phase of Wichita State's Innovation Campus". Wichita Business Journal. Retrieved Aug 15, 2014. ↑ "WSU innovation campus: From vision to reality". Wichita Business Journal. Retrieved Jan 30, 2015. ↑ "Innovation Timeline". Wichita.edu. Retrieved Aug 8, 2014. ↑ "WSU Innovation Campus to build on golf course site". Wichita.edu. Retrieved Aug 19, 2014. ↑ "General Information" (PDF). Webs.wichita.edu. Retrieved 2016-02-22. ↑ "Top 50 Online Colleges with the Highest Student Satisfaction – Online College Plan". Retrieved 2016-09-11. ↑ Archived October 8, 2009, at the Wayback Machine. ↑ "Athletics – Wichita State University, Wichita, Kansas". Wichita.edu. Retrieved March 31, 2013. ↑ "WuShock: A True Original – Wichita State University, Wichita, Kansas". Wichita.edu. Retrieved March 31, 2013.